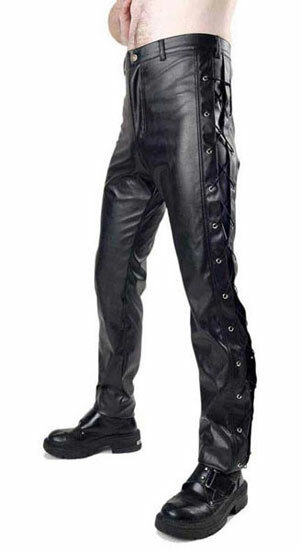 These Black leather look jeans have lace up sides with two rows of eyelets on each leg. 80% polyurethane, 20% polyester. Inseam measures approximately 32 inches in length. Imported from the UK. I was a little concerned about ordering these (a birthday gift for my husband) because my husband, while a size 34, wears generously sized Docker slacks most of the time. 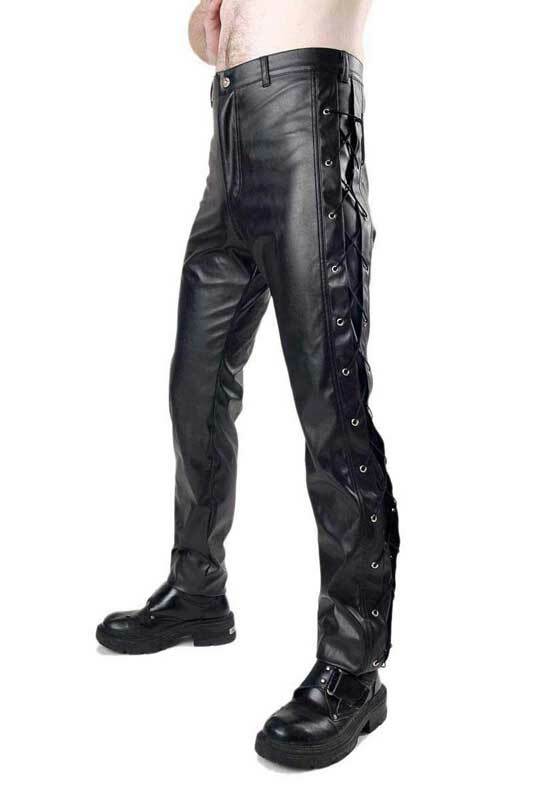 However, the eyelet jeans fit him perfectly, and are true to size, and they have the look, weight and feel of real leather. Also, they're a good value for the price. Thank you for such a great product! Great pair of jeans. Got nothing bad to say about them. Buy them!